Here is a picture I took of me holding a female Grass snake. If it was not for my springer spaniel standing on it whilst walking one evening, I would have not seen it! Though as you can see, this one is very large – in fact the biggest I have seen. 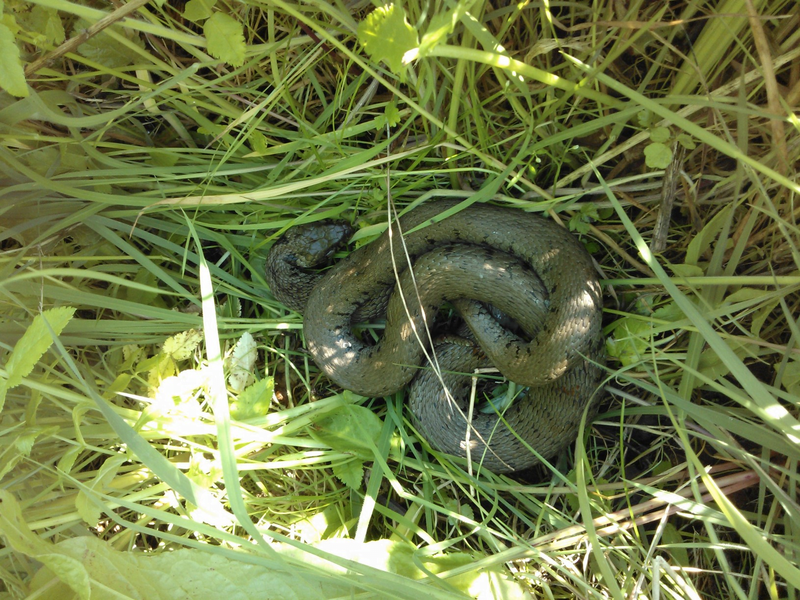 Grass snakes are not venomous, in fact in Britain we only have three species of NATIVE snake; the Adder, Smooth snake, and Grass snake. 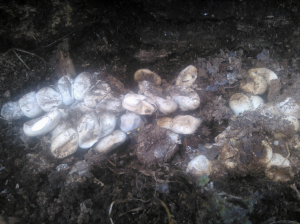 Slow worms are not snakes, they are lizards with no legs and in fact they have eye lids which snakes do not have. 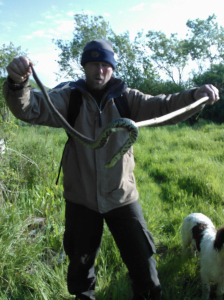 As I gently picked it up, it was hissing at me whilst all puffed up, just really trying to look mean and menacing but in fact they are harmless to us. Their food source is mainly frogs, small birds and mice. They have a clever defense strategy, which is to poo on you. Yes, I know, how vulgar! They will also play dead. The reason being that predators will not hunt for dead animals due to them possibly having a disease, so they will leave them alone. This is a successful trait shared with most insects. Here’s a quiz question for you – out of the three species of snake we have here, only one of them will lay eggs, the other two give birth to live young. Can you guess which one lays eggs? 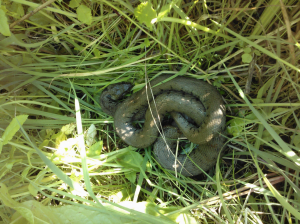 This entry was posted in News and tagged Grass Snake. Bookmark the permalink.